Worship is more than our heart, soul and words offered to God. It also involves our posture. 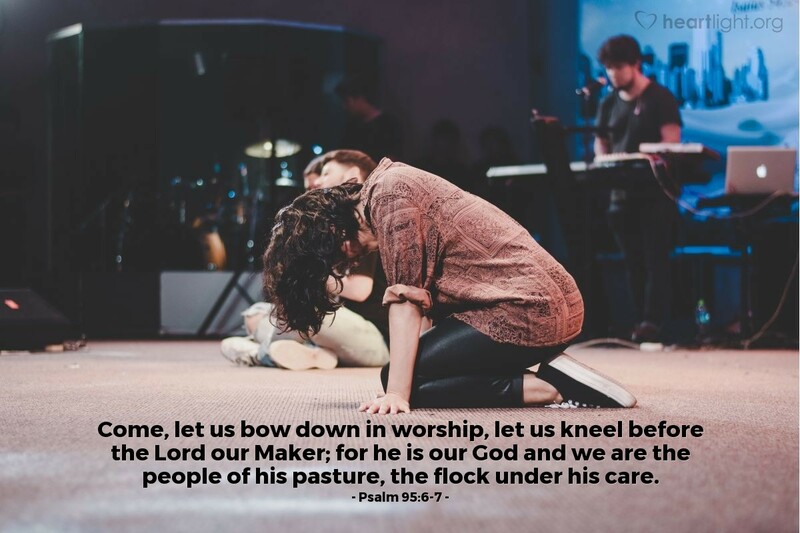 When we understand the grace God has given us to be called his children, what else can we do but bow down or kneel before him in his majesty and might. We come to him, a conquering ruler, offering ourselves in full submission. God chooses, however, to treat us tenderly like a loving shepherd who longs to care for us. Such grace leads us to bow and kneel in heartfelt worship. Shepherd of my soul, I come to you seeking your protection and rest as one of your sheep. I often find myself harried and driven by life's pressures and temptations. But I come to you submitting myself to be used for your glory — not just today, but for the rest of my life. In Jesus' name I pray. Amen.